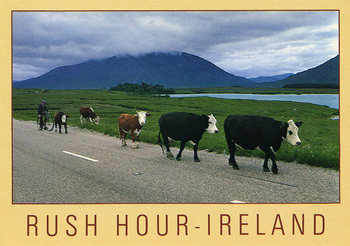 Nice piece… You echo my sentiments on the total ineptitude of most drivers here in Ireland. Although you are much kinder than I would have been had I wrote it. I am English born and learnt to drive in Manchester and passed my test in ’68. I soon moved to London and then onward to Germany. Needless to say (you being Dutch) you will be familiar with the expertise and ease with which people in general drive on the continent. There are idiots behind the wheel in every country I know, but Ireland must be European champions. I am astounded at least once a week by some insane maneuver some total idiot behind a wheel performs, and manages to survive.